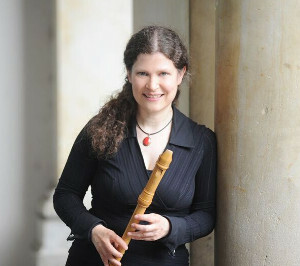 Annette John studied recorder first in Würzburg, then with Han Tol at the Hochschule für Künste in Bremen, where she earned her concert exam diploma with special distinction. She has performed in Germany and internationally with the ensembles Weser-Renaissance, Orlando di Lasso, Concerto Palatino, Concerto Brandenburg, Oh-Ton Oldenburg, Musikalisches Tafelkonfekt, Trio Viaggio, the Hannoversche Hofkapelle, the Boston Early Music Festival orchestra, Bremer Ratsmusik and Hamburger Ratsmusik. She is equally at home with modern as with early music, having worked extensively with composers and performed numerous world premieres as well as radio and CD recordings. Annette John has won prizes at multiple international competitions such as the SchmelzerWettbewerb Melk in 2005 and the Wettbewerb der Preußichen Kulturstiftung Berlin in 2003 (with Ensemble Passaggiata) and 2006 (as a soloist.) She taught at the Hochschule für Künste in Bremen from 2007 to 2013 and currently teaches at the University of Oldenburg. She was vice-president of the European Recorder Players Society from 2008 to 2012.